As the move into high definition continues apace across the continent, Philip Stevens takes a look at how Ukraina - a channel which covers more than 90% of the territory of Ukraine and can be seen by some 38.5 million potential viewers - is handling the change. As the move into high definition continues apace across the continent, Philip Stevens takes a look at how one broadcaster in a former Soviet territory is handling the change. Ukraina is one of the country’s leading national channels, according to data by GFK Ukraine. The channel covers over 90% of the territory of Ukraine and can be seen by some 38.5 million potential viewers.  Officially known as Tеlevisual and Broadcasting joint stock company Ukraina, the channel operates four studios in Kiev, the capital city of Ukraine. It produces a mix of children’s, entertainment, news and sports programmes delivered by cable, satellite and terrestrial. Under the agreement, project design, planning, installation and training is being handled by system integrator ComTel Broadcasting Solutions. Support for all installed products is also provided by Comtel Ltd. Concerning the LDK 4000, Petrenko says that the compact wireless modification provides flexibility of usage, avoiding the need to use additional cabling and third party equipment. “It gives you correct camera balance and reliable reception of the signal on the distance up to 150 metres. And that makes it ideal for news and sports programmes.” The cameras will be mounted on Sachtler pedestals. When it came to vision switchers, Ukraina opted for the Kayak HD 400. Two have been installed together with the new Kayenne Graphic User Interface which to help improve the operational workflow for live events. “Menus of only two levels make it much easier and more efficient for the operator to recall effects, select wipes, create last moment transitions, modify timelines and much more,” maintains Alexander Bogatkin, GV’s sales manager for Belarus, Moldova, Russia, and Ukraine. Of significant importance to Ukraina is the Kayak system’s ability to handle multiple formats for a single production. For the foreseeable future, productions will still incorporate standard definition source material, which will have to be upconverted to high definition. The Kayak switcher does this automatically, using internal input conversion via a feature called MatchDef. A SetDef feature allows users to output both an SD and HD feed from the same switcher in order to support both types of TV audiences. In all, the switcher incorporates 192 inputs/96 outputs, with up to 16 MatchDef inputs and 8 SetDef outputs. The switcher has six keys per ME, a feature which, says Bogatkin, makes it unique in the industry. In all, 24 keys can be used by two control panels. According to Petrenko, these two panels, a 3 ME and a 1 ME panel, the production team has the possibility of sharing sources, effects and time lines in important events like national elections or to run two different programmes sharing the input signals. Ukraina ordered several signal processing modules from the Grass Valley GeckoFlex product line. This includes format converters, A/D converters and audio processing products. The equipment has a modular design and can accommodate up to 40 motorised faders. Its operation allows multiple operating layers, with three operating panel variants for different applications. Bogatkin says that the main advantages of the Zirkon are the numerous add-on features that enable the broadcaster to match a host of different requirements, a flexible configuration for individual workflows and the high-performance networking of audio and control. When it came to graphics equipment, Ukraina opted for Chyron’s LEX 2 Graphics Systems in its operations. The Chyron LEX 2 is a realtime graphics platform, and the manufacturer has provided a scalable solution to fit graphics needs, technical requirements and live news needs of the broadcaster. The live graphics are created and played out by Chyron’s Lyric PRO running on the LEX 2. It was felt that the advanced features, including seamless creation-to-playout and premium Lyric options made the LEX a cost effective choice for news, sports and live event coverage. CAMIO is the Chyron’s MOS interface to the ANNOVA newsroom system providing the fastest news workflow available, giving the station a lowest cycle time from creation to air. DTG: What is Ultra High Definition TV and is this the big year?